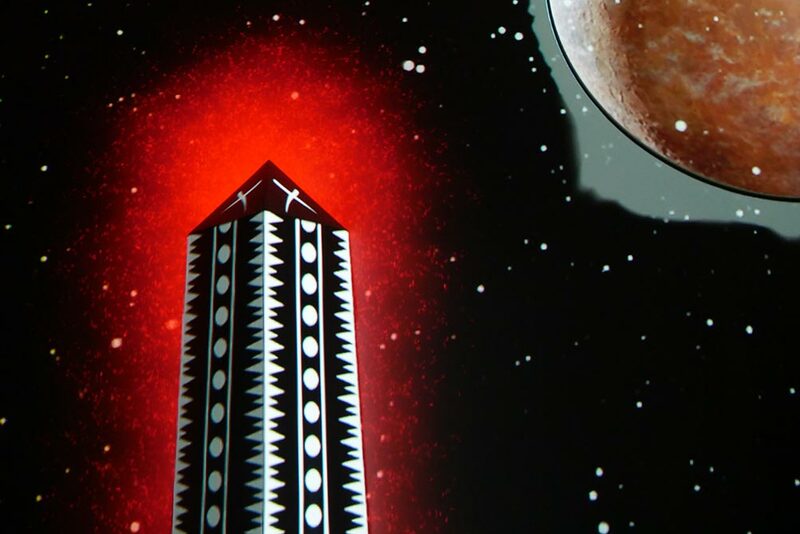 Ideum worked with Cochiti artist Virgil Ortiz to create three large-scale video projections telling the story of the 2180 AD second Pueblo Revolt. 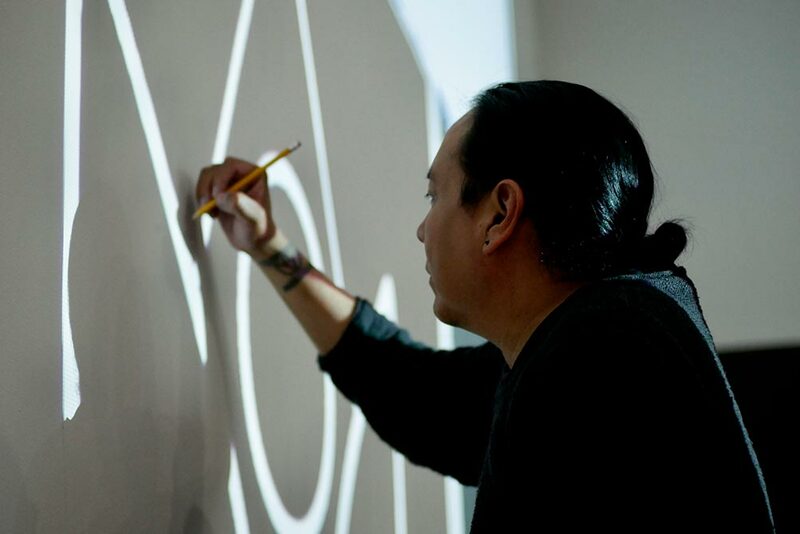 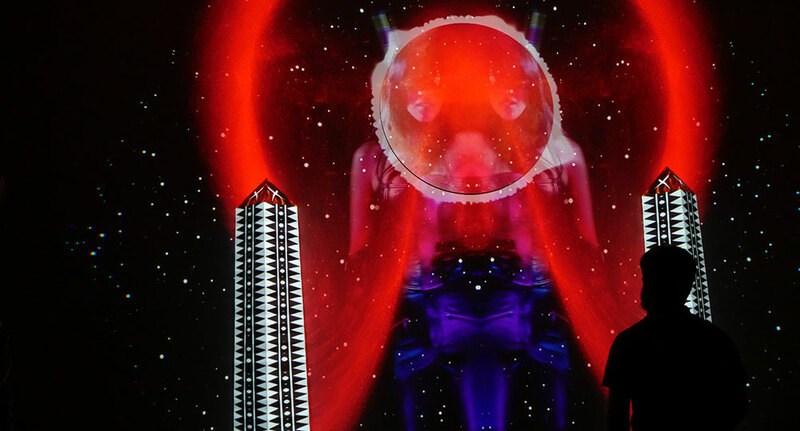 This past week, a team of artists and designers from Ideum completed a projection mapping installation at the Colorado College Fine Arts Center (FAC) with Cochiti pottery artist and fashion designer Virgil Ortiz. 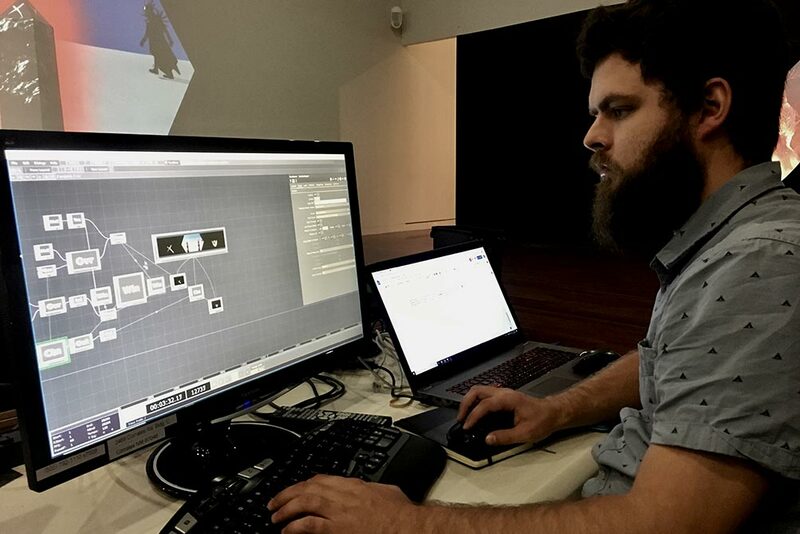 Ideum team members Miranda Due (Project Coordinator), Morgan Barnard (Digital Artist), and Bill Pritchard (Media Systems Designer) worked closely with Ortiz to bring his ReVOlution: Rise Against the Invasion project to life. 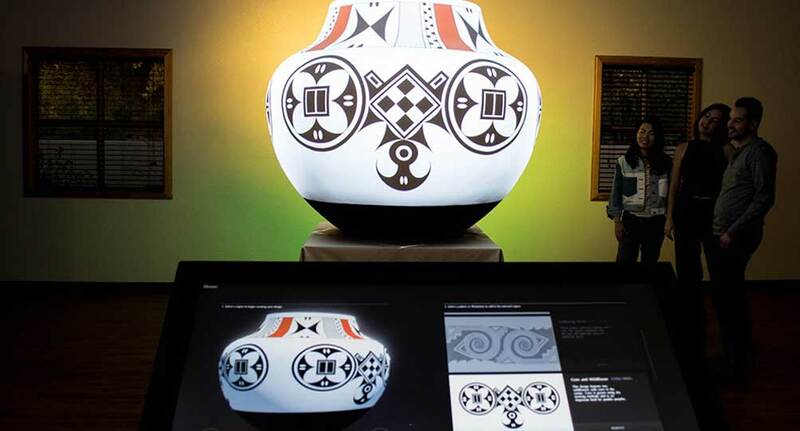 The projection based installation is part of a larger exhibition at the FAC that combines Ortiz’s fashion designs, new glass-based work, and pottery work with traditional Spanish colonial and Cochiti Pueblo artworks from the FAC collection. 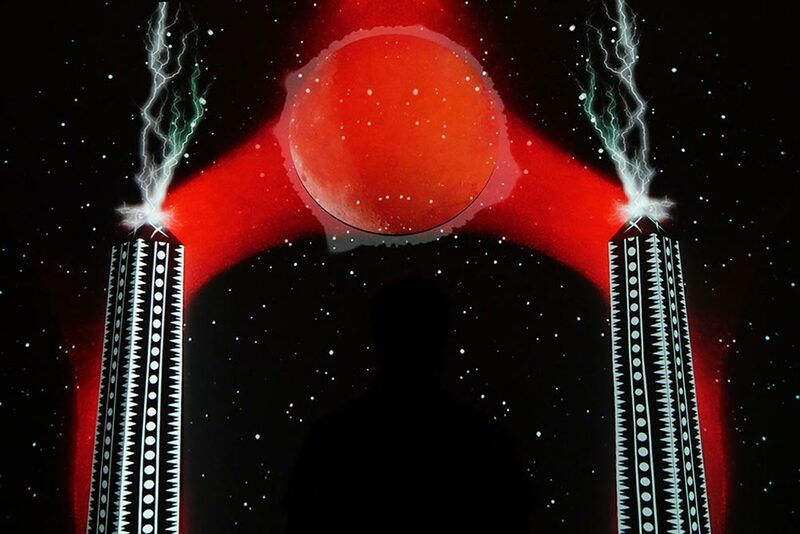 The installation consists of three large scale video projections that tell the story of the second Pueblo Revolt set in 2180 AD, using iconic Cochiti Pueblo imagery and a science fiction narrative. 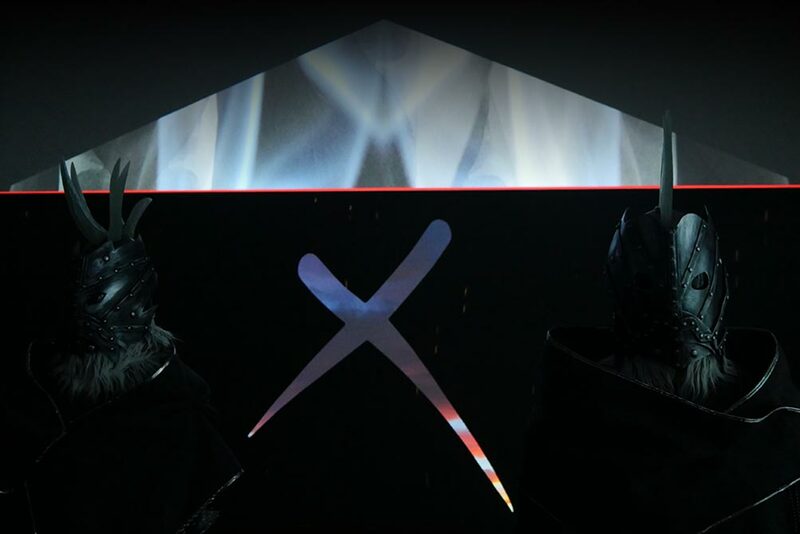 The projections surround mannequins displaying Ortiz’s unique fashion designs as the opposing sides prepare for confrontation. 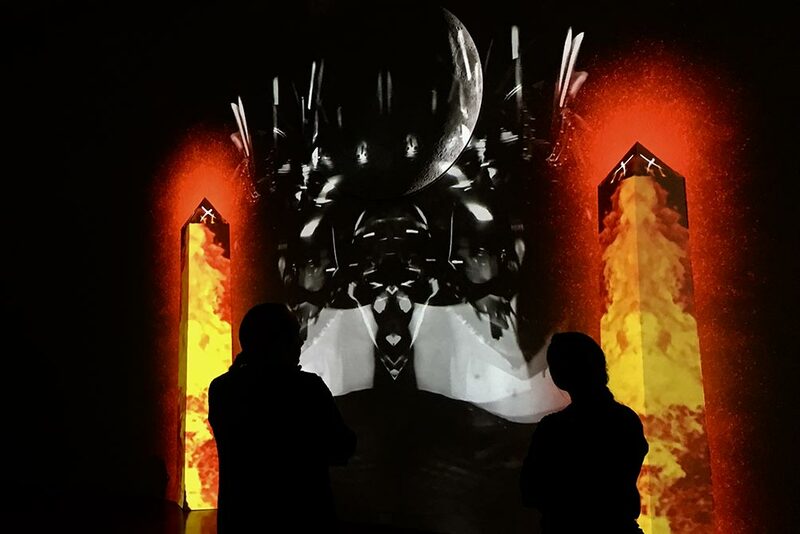 Over the past few months, Ideum planned and produced specialized content for the projection mapped room, including a trailer that evolved into content projected on and around 10 foot obelisks. 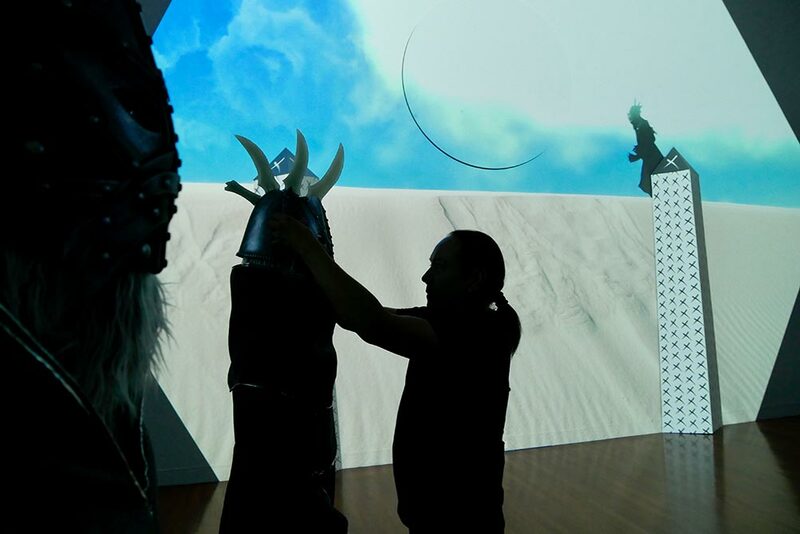 The team worked closely with Ortiz to maintain his artistic vision and fine tune the various elements on location at the FAC. 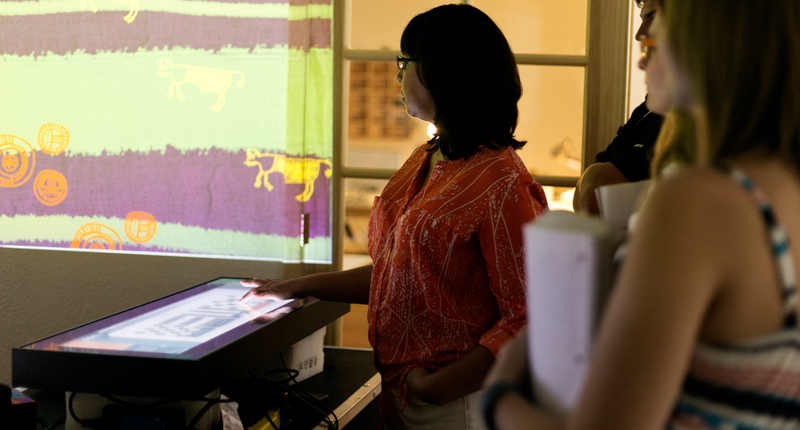 Ideum has a long record of using cutting-edge technology to support artists in achieving their visions. 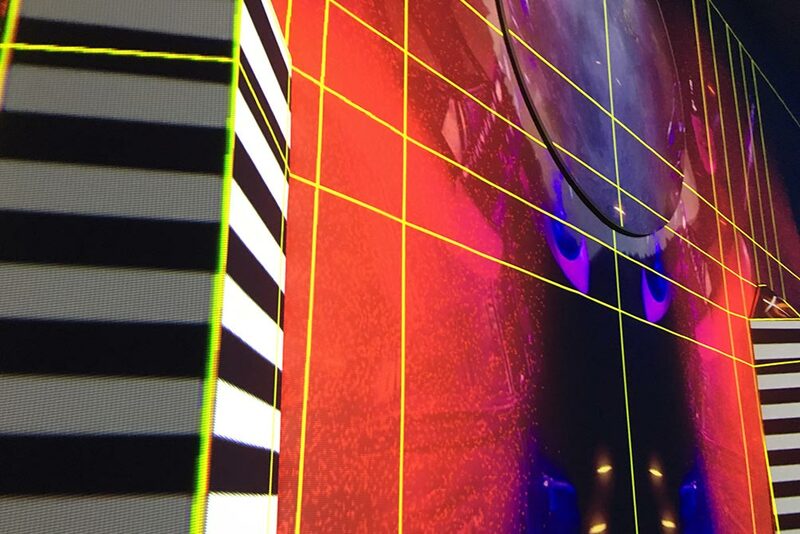 Our multidisciplinary team brings a unique skill set to create solutions for complex projection environments. 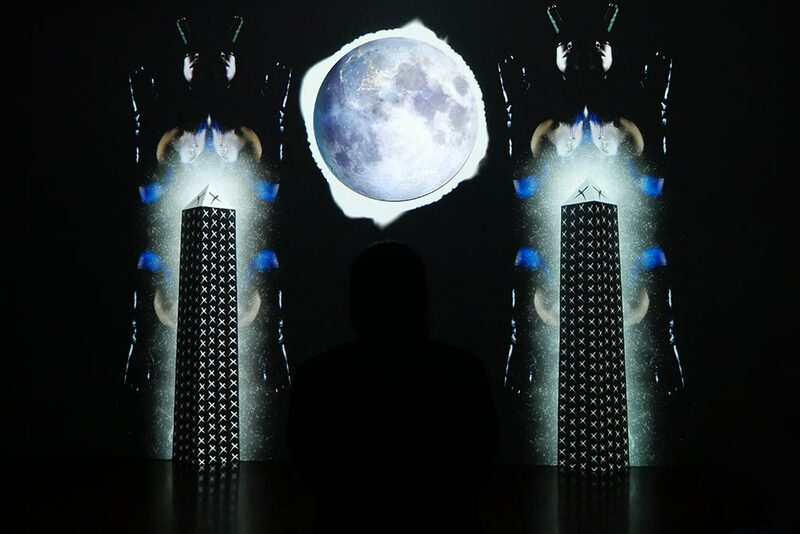 The exhibition opens to the public at the Colorado Springs Fine Arts Center at Colorado College on October 6 and the video installation portion of the project will run until June 2019.